Small towns harbour secrets. Rising, receding and returning like the tides lapping the fictional coastal town of Kinsale, the stories in this collection revolve around Alice and Grace, friends since childhood, who grow to live vastly different lives. Weaving in and around these women is a lattice of interconnecting stories drawing in their husbands, families, neighbours and strangers, each linked to one another by fate or circumstance. 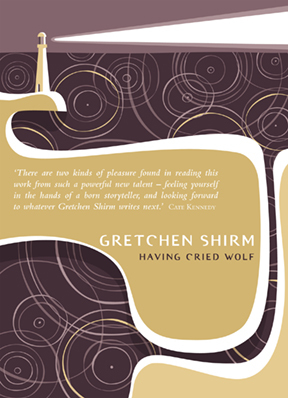 Having Cried Wolf is a contemplative and affecting collection – one that marks the arrival of an original literary talent.